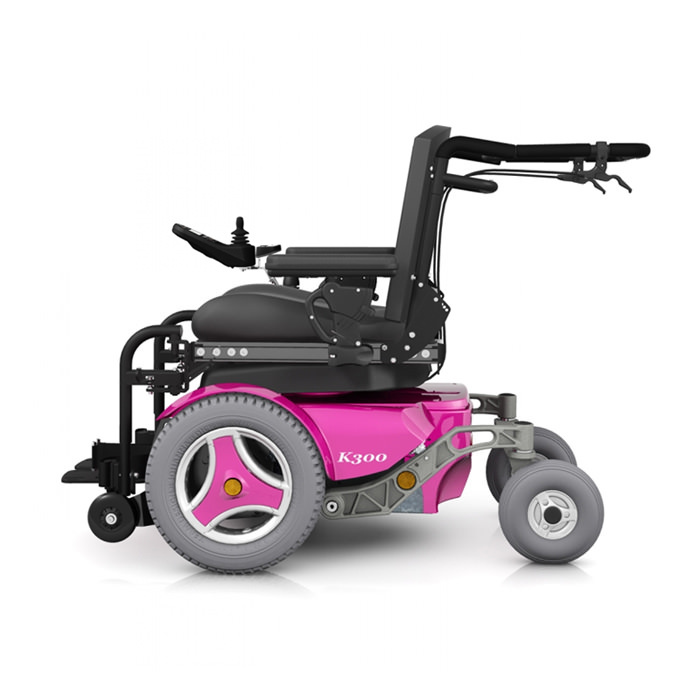 Permobil K300 PS junior power wheelchair comes with a standard adult power base, and the expandable seat pan allows for a custom fit no matter how fast a child grows. 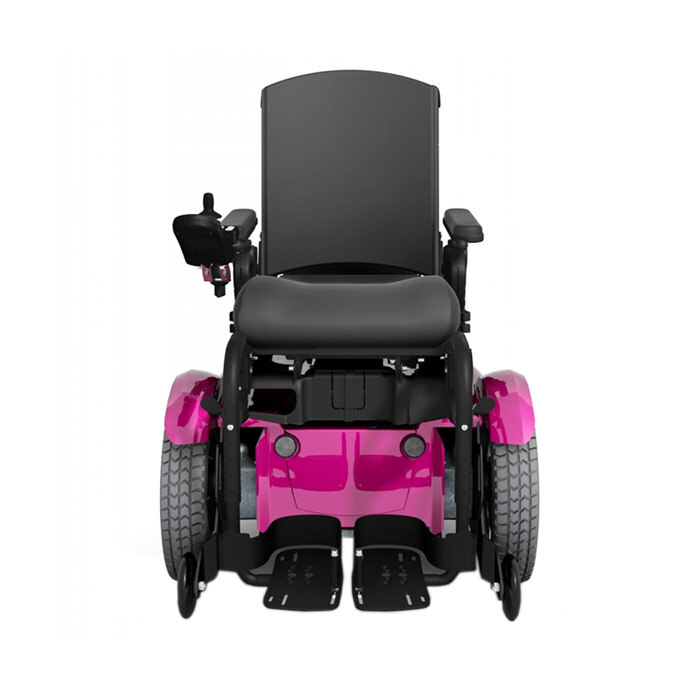 K300 PS is equipped with features such as EZ adjust armrests, the power seat elevator and power tilt functions, R-Net electronics and the uni-track system provide for maximum comfort and allow for an infinite number of adjustments and add-on accessories. 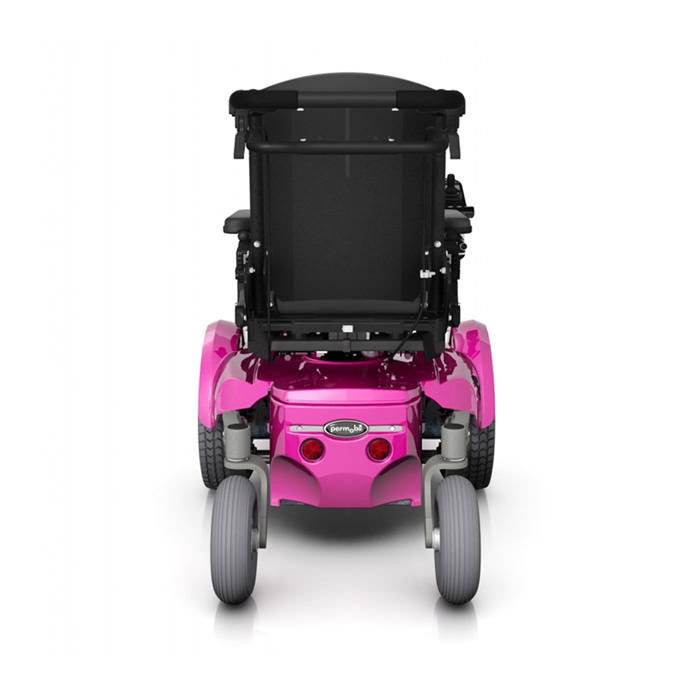 Plus, the hot new colors chili pepper red, black onyx, platinum silver, pop star pink and titan blue and the tri-spoke wheel covers make any child the envy of the block. 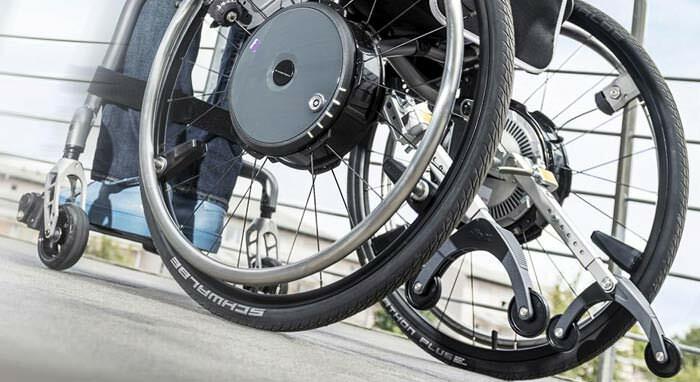 Permobil K300 PS junior power wheelchair is made for the growing generation. 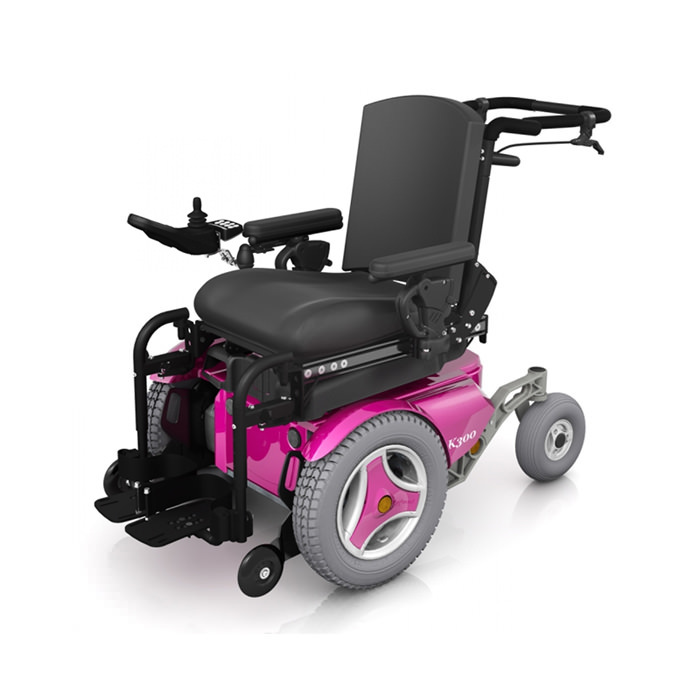 For the sake of power and lack of limitations, it takes its chassis from an adult chair. But all else has been created for children and young people. The seat plate has total flexibility and expands with its owner. The K300 PS junior has arm and foot rests which are easy to swing aside in several directions. 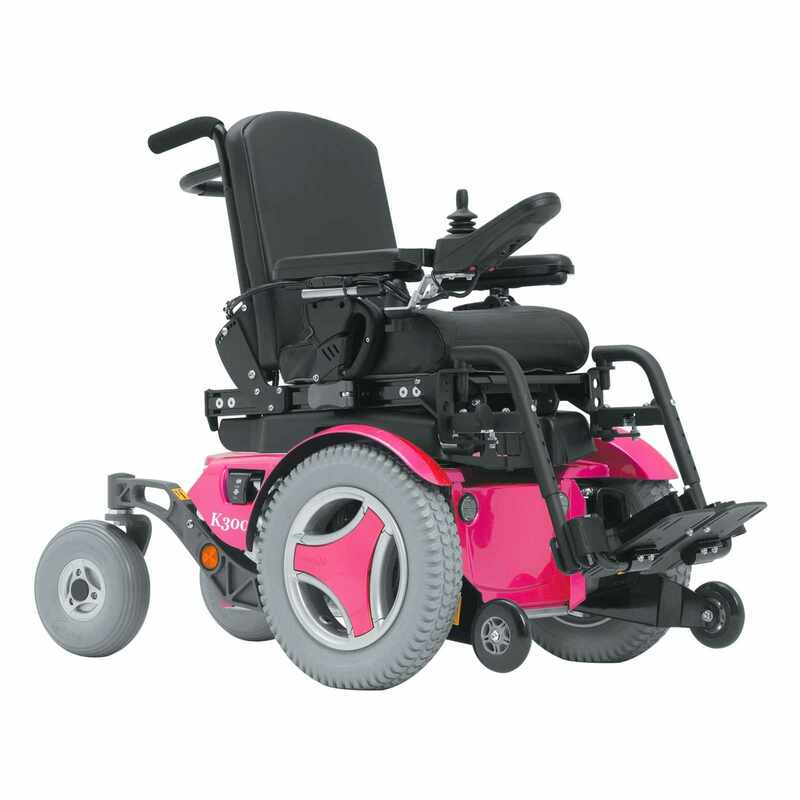 Seat to floor height Elevator 16.5"
Seat tube 16.5", 17.25", 18"
1 Actual driving range will vary based on driving and battery conditions.